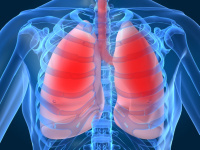 Acute respiratory distress syndrome (ARDS) is a life-threatening lung condition. It develops rapidly and drastically reduces the amount of oxygen your blood gets from your lungs. Your lungs are filled with air sacs, which transfer air from your lungs to your blood. When you have ARDS, fluid leaks from the blood vessels in your airway into these tiny air sacs, limiting how much oxygen that can move from the air sacs to your blood. Other air sacs become unstable and collapse, also limiting their ability to function. Your body’s organs depend on the oxygen and nutrients blood brings. If your blood does not have enough oxygen to meet your organs’ needs, they stop functioning properly. This may lead to failure of additional organs. Although ARDS can be triggered by several causes, including trauma or aspiration, the most common cause of ARDS is sepsis. Sometimes incorrectly called blood poisoning, sepsis is the body’s often deadly response to infection. Sepsis kills and disables millions and requires early suspicion and treatment for survival. ARDS is a life-threatening condition and a medical emergency. If you are experiencing signs and symptoms of ARDS, call 9-1-1 immediately. ARDS is a medical emergency. Before anything else, it is vital that you get more oxygen in your blood. 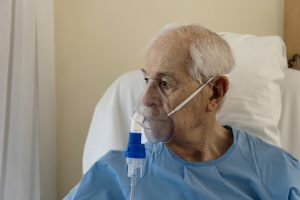 A mask placed over your mouth and nose can supply you with oxygen, but if you are having too much trouble breathing, you may need to be intubated. To do this, a doctor places a tube into your trachea (airway), usually through your mouth. This tube is then attached to mechanical ventilator that will help you breathe by pushing air directly into your lungs. Once the initial medical emergency is under control, the doctors then need to learn why you developed ARDS and treat the cause. If the cause was sepsis, this treatment would include antibiotics to treat the infection, intravenous fluids, and possibly medications called vasopressors to help raise your blood pressure. Intravenous fluids are important, but the doctors have to be careful not to give you too much. You need fluids to keep up your blood pressure, which allows your blood to flow through your blood vessels. Too much fluid could cause more fluid build-up in your lungs. If you’ve had ARDS, you could be left with some lasting effects, such as scarring in the lung tissue and abnormal lung function.